One’s traveling style has a lot to do with one’s personality, if you ask me. However, no matter if you like to travel light, or to make sure you have all the comfort you need at your disposal, there are certain items you should always remember to pack and take along. If you’re an avid traveler like myself, I bet there are going to be some interesting items for you, on my ultimate checklist of essential travel items. Read on, and let me know what you think. 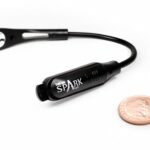 You will need a speaker for your iPhone when traveling, simply because the smart phone will work as a sort of headquarters to all your operations. I’m not going to get into what a hassle it is to lose or have your iPhone stolen (or to lose it) when traveling abroad – suffice to say that, without speakers listening to your favorite music, having long conversations over Skype or watching your favorite show from back home is far, far more tiring and less satisfactory. You can take your media all over the world with you and turn any hotel room into your living room. It’s never just you who’s traveling, it’s all your friends, your songs, and your movies and shows. Remember that next time you start packing. 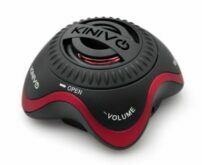 Travel speakers are quite small, and most often designed to able to live in your luggage. I can’t possibly stress how important this is. The best way to approach this is to check out baggage weight conditions on the website of each airline you’re going to be flying. They tend to differ greatly, especially across continents (that’s mostly because commercial airlines in Europe are smaller than in the U.S., so they have less room for luggage). It’s also a good idea to measure your luggage, since cabin baggage size also matters. What happens if you don’t pay attention to baggage weight? You essentially get two options: you can either leave some things behind at the airport, or you can pay extra, in order to be allowed to carry everything. Hint: those extra charges run high, especially on low-cost airlines. Think around $40-50. Sometimes, I have been known to pick up a souvenir or two along the way. That changes the weight of my bags, and I need to make sure the weight is distributed to meet the airline’s requirements. A small, light-weight luggage scale like the one to the left becomes essential for me, and I have also had the joy of sharing it with other travelers waiting in line, and madly repacking suitcases. And it’s also a flashlight. One of the best parts about traveling is getting to experience the local cuisine and drinks. Now, if you take a trip across Europe, for instance, you’ll be amazed at all the different varieties of great wines they have in many countries there – and this also applies to parts of the United States, South America, and Africa. Now, as pleasurable as a good bottle of wine can be, at the end of a long day spent exploring, there are few things more infuriating than struggling to shove the cork back down the bottle’s neck. And it’s a shame to throw away perfectly good wine, in case you don’t manage to finish the bottle all in one evening. 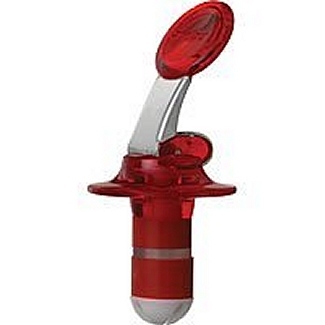 Since polishing whole bottles each night isn’t exactly a good idea either (at least not all the time…), a bottle stopper can turn into your best friend, for wine-infused evenings abroad. And make sure to get one that clicks securely shut. Often you will want to put the partial bottle in the small refrigerator laying on its side. PS: They tend to be small, so make sure you put them on a checklist in order not to forget them. Of course you’re going to take pictures when traveling – and you’re going to be taking lots of them, too. The iPad tends to produce a better quality viewing experience than most digital cameras, thanks to its ample screen size, which is why I usually prefer to employ the tablet. There’s just one tiny issue to take into consideration: the fact that, without an Apple camera connector, there’s no way I can download my pics and vids onto the tablet. When I forget to pack the connector, I need to free up space on my camera’s memory card, or purchase more memory. So I try not to forget to pack the iPad camera connection kit. It’s tiny and makes it very easy to instantly download my travelogue photos and videos onto the tablet. I can then share them with family and friends back home and it’s far easier to keep up with the progress of my journey like this. Fresh breath is never optional, no matter where I travel to, how outdoorsy the experience, or how remote the location. However, in some situations, it’s next to impossible to brush my teeth, which is why Listerine breath strips come in very handy. FYI, they’re available in four different flavors and dissolve instantly in your mouth – so you don’t have to ruin your stomach or keep chewing inelegantly, as is the case with chewing gum. They also tend to last longer, in terms of effects, than mouthwash and most other dental hygiene solutions for when you’re on the go. 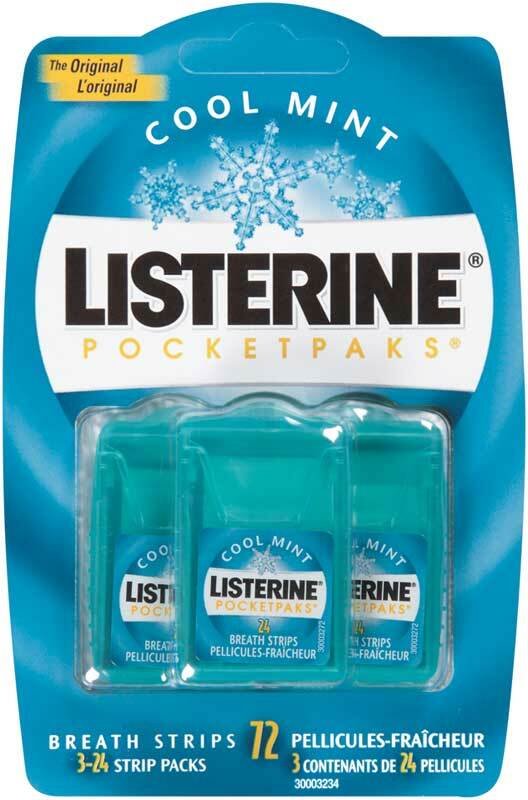 Tip: they’re not available all over the world, since it seems most Listerine fans are U.S. or Australia based, so if you’re planning to leave the continent, remember to always pack a big batch in your luggage. Since we’re on the topic of hygiene, let’s consider it a little while longer. In some cases, you just need your own favorite brand of soap. Maybe you’ve got ultra-sensitive skin and want to avoid getting it even drier because of travel and using other types of toiletries. Maybe you’re camping or making your way from hostel to hostel, with limited access to toiletries in the first place. A soap box will help you deal with all these issues without a snag. 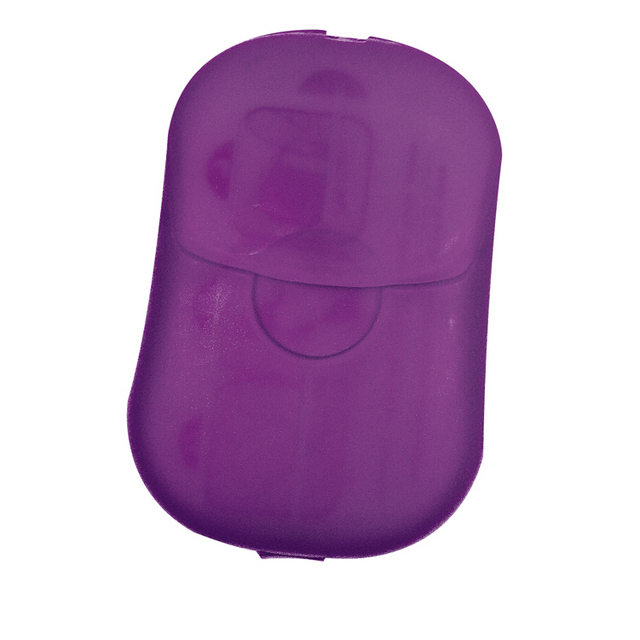 They’re compact and keep your soap dry, ready for use whenever you need it. They’re easier to pack along than shower gel bottles and safer, in terms of making sure they don’t spill or run in your luggage – and, no, you don’t want your clothes all sudsy because of an improperly closed bottle of shower gel. Finally, they help you avoid having to look for a supermarket and buying a new bar of soap in every location, allowing you to spend more time exploring the area. PS. Tide also makes a bar soap for clothes washing, but we have only found it overseas. When we see it, we buy a couple bars. And then the soap box becomes a way to transport your clothes washing bar – but try to get a different color box, so you don’t take a shower with your clothes washing bar. One of my favorite ways to catch some shuteye, be it in a hotel room, a tent, an airport lounge, or a plane, is by letting my magazines lull me to sleep with their words and stories. Reading never fails to transport me into an alternate reality – in a way, I love it because it’s very similar to traveling, only it allows you to take flights of fancy, instead of actual flights. However, the light in hotel rooms is sometimes too bright. Airplanes can be pitch dark, when you fly at night and you’re the only one who wants to read, while everyone else is trying to sleep. Alternatively, maybe you want to explore a map in the dark and forgot to pack a flashlight (who does, these days, anyway?). A compact, yet powerful reading light will save you in each and every single one of these situations. Remember what I was saying earlier, about enjoying wine while traveling? I know I do, and that’s why I never leave home without a wine opener. Yes, a dedicated tool for opening bottles of wine, because sometimes your Swiss army knife won’t be able to handle the cork on some bottles. Since I don’t want to have to struggle with this process too much, nor do I want to risk breaking my Swiss knife, I simply take a wine opener along. It also saves me the trouble of having to go down to the hotel’s front desk in the middle of the night, asking them to lend me their own opener. And when it comes to enjoyment, believe me, it pays off to come prepared. I personally prefer a compact opener, which doesn’t take up too much space in my luggage. And remember not to put it in your carry-on luggage, airline security frowns on such devices. It may seem old-fashioned for some, nowadays, in the day and age of apps, games, devices, tablets, and online gaming. 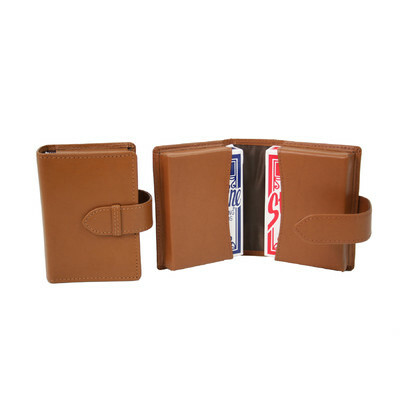 However, I never forget to bring along a pack of good old playing cards. Why? Because they allow for actual in-person socialization. Because, no matter where I travel to, there’s always someone willing to join in on a card game I know, or teach me a game I’ve never heard of. Cards are easy to pack along, don’t take up that much space and they provide the perfect opportunity for meeting people and making new friends across different cultures. They will strike up conversations, make entire evenings more animated and fun, and never require being recharged, like all your gadgets do. To boot, when you play cards, you actually save battery life on your smartphone, tablet, laptop, or whatever other electronic gizmo you’d decided to bring along. I tend to travel for long spans of time, from one country to the next, from one exotic destination to the other. If I’m away for a few days only and expecting a major event, like a formal dinner, business meeting, or family affair (a wedding, for instance), I will take my formal attire to the dry cleaners. In other situations, however, I prefer to do my own laundry at a local laundromat. And then there are places I’ve visited, where there were no washing machines or dry cleaners to speak of. You may think that packing along a scented candle is optional, but for me, it’s actually an essential. There are many things with which this item helps. It creates a cozier, homier atmosphere, even in the most remote or impersonal hotel rooms. It freshens up the stodgy air in those rooms. It helps me relax and invites meditation. It’s great for creating a mood, if this should be the case on a particular evening. Since scents create very powerful associations, bringing along a scented candle, no matter where I travel, is like packing a very important, ineffable part of home. I always remember to stock up on my favorite brand and scents when I return back home, then slip one into my bag as I head out the door to the airport. Bonus: scented candles also help ward off mosquitoes in the more pest-infested parts of the world. Since I can’t fathom traveling without a cell phone in my pocket, I’ve made it a point to invest in a calling device that I only use overseas. In most countries in the world today, it is relatively easy to buy pre-paid SIM cards for that particular country. Depending on the country, on your pre-paid SIM you might get very good rates for calling back to your home country, but the main purpose is to be able to call locally and stay connected to your travel partner. 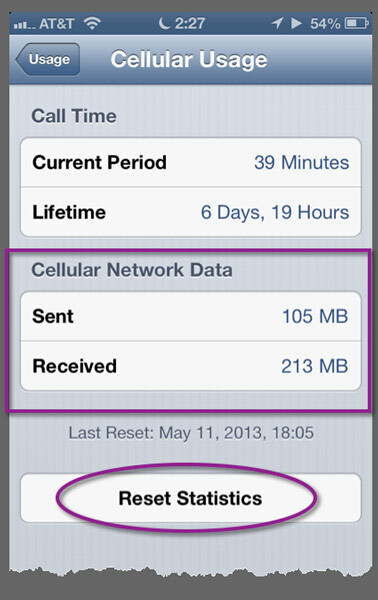 So, you want to make sure that the pre-paid SIM you buy in-country has SMS capabilities. 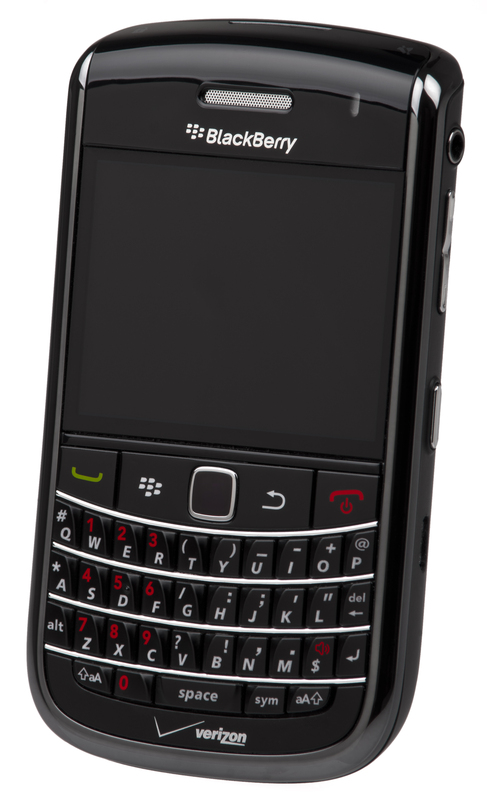 When you buy your travel cell phone, make sure you get a quad-band phone; that will insure that you can use it in most parts of the world. Indeed, I do travel with a special international phone for voice calls, but I also pack along my iPhone, because it makes connecting via Wi-Fi very easy – and also because I love taking pictures with it. And, speaking of picture taking, you haven’t lived (nor used its iPhone to the full extent of its picture taking capabilities) until you’ve tried the iPhone telephoto lens. Yes, professional photographers may sneer, but you’ll be laughing in their faces, too, when they see the results. 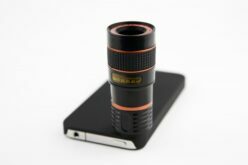 The lens is easy to attach to your phone via an iPhone case, and the telephoto powers it lends to your device span the 8x-12x range. In terms of how easy it is to pocket, there’s no comparison between this iPhone lens and a typical telephoto lens – a 500m Sigma, for instance, is a monster compared to this tiny fellow. You will love what this lens is able to do with panoramic shots, taken off hills, roofs, or on the shores of the ocean. And how easy it is living in your pocket, and easily attaching for that perfect long range shot. It might seem like the total traveler’s cliché, but I do like living up to it. I never leave home without my trusty Swiss army knife (again, packed in my checked luggage). However, since I prefer dedicated tools to those that promise to do a lot of things (and usually do them poorly), I keep my selection of Swiss army knife on the simple side. All I want mine to do is double as a spoon, a fork, and a knife. I really like wandering through grocery stores in foreign lands. With this handy little tool I never have to worry about how I’m going to consume my lunch, no matter how impromptu it may be, or how unlikely the location is for dining. My advice, in this respect, is to steer clear of those ads that promise to sell you a packed toolbox, in the form of a Swiss army knife. 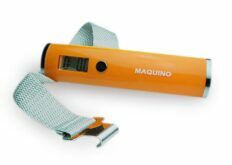 If you’re the kind who does need some hardware tools around, too, when traveling, check out the Multi-man tool below. For your choice of Swiss army knife, though, keep things stripped down to the bare essentials. As I was saying above, I’m not the kind to oppose multipurpose tools out of principle – in fact, I’m partial to them, since my traveling often has me fixing things, adjusting them, or making them work on the go, right after they’ve broken down for some reason. Yet, instead of a Swiss army knife, I opt for a Multi-man tool, which packs all the essentials I need. In my case, these are pliers, a carabineer and a wire cutter. In your case, however, they might differ, so my advice is this: figure out what you usually need when traveling. Know your needs, then go browsing online. The selection of multi-man tools, currently available for sale online and off- is massive. 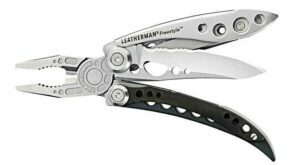 It’s guaranteed to bring you to just the combo of tools you need, be they blades, bottle openers, screwdrivers, or whatever else. I did once forget my tool at home and had to deal with a broken zipper without it – but since that experience turned out to be far harder than I may have ever imagined, I’ve learned my lesson and made it a point to always check if I’ve packed the multi-man tool along. Some of the best inventions in the world are also the simplest: duct tape, Post-It notes, and, if you ask me, the same goes for rubber bands. They will work in just about any situation in which you want to make things stick together. Of course, they won’t hold as well as glue or sewing, but sometimes, when you’re out on the road a lot, there’s just no time or place to take care of things thoroughly. In such situations, keeping a bunch of simple rubber bands around is a great fix. I personally use them to separate different types of foreign currency, when traveling to many countries as part of the same itinerary, but I’ve also found myself tying and binding many other items together. 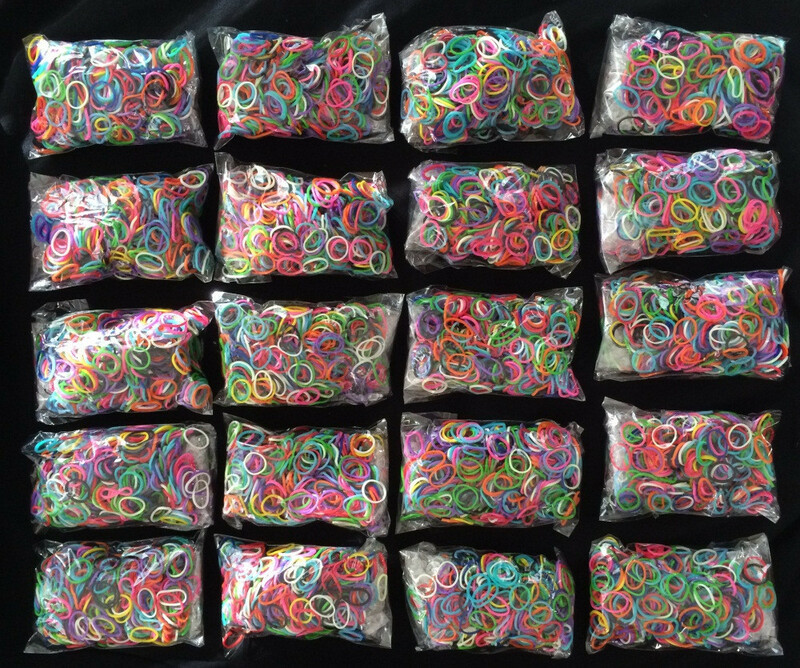 In a sense, remembering to bring rubber bands along when traveling just goes to show how such experiences teach you a priceless lesson in resourcefulness. I can’t possibly stress how important my electronic data is to me. When I travel, I’m basically packing along my entire life, all in one single laptop. Having that laptop mysteriously break down in some remote country or exotic location would be a hassle, to put it mildly. That’s why I’ve made a small investment (compared to how much peace of mind it brings), into an external hard-drive. I use this disk to back up all my information, before, during, and after traveling. It also helps with taking pictures, since particularly long and/or spectacular journeys often have me taking pictures or recording videos in the hundreds of GBs. I usually pack the backup disk in my cabin luggage and try to keep it on me as much as possible. However, for situations in which this is simply not feasible, I’ve also bought a shock-proof case for the drive. This helps put my mind at ease when flying overseas, since baggage handlers do tend to sometimes manhandle your bags. 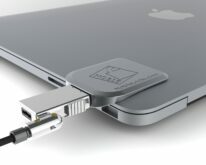 With the case, though, I know that, whatever happens, my data is completely safe. As you may have already noticed, I’m a big Apple fan: I own and use an iPhone, iPad, and Mac laptop. 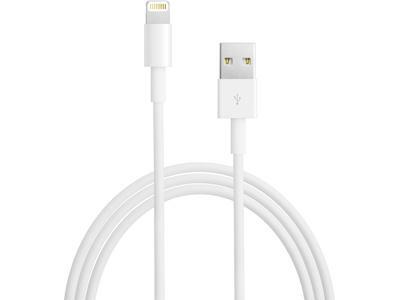 What all these devices have in common is the famous white Apple connecting cord, which I never leave home without. It’s essential for transferring data from one device to the next, but it can also help with restoring some battery life when traveling. 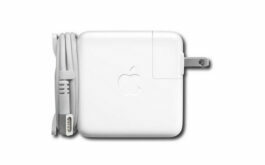 For instance, there are occasions when I know there won’t be a plug available for a long time – and that’s when I whip out my laptop, connect the iPhone, the iPad, or both, to the laptop via the data transfer cable, and make sure I’m covered, in terms of battery life, at least for a little while longer. Battery life notwithstanding, though, I can think of few other things which are more important to me when traveling than this little cable. Without it (and without a Wi-Fi connection), I have no way of downloading data out of my mobile devices – and I prefer to avoid using the Bluetooth function. It also comes in handy for creating a hotspot, when I absolutely must use my laptop and have no Wi-Fi or cable Internet connection around. And because they are very light and easy to pack, and I sometimes forget them in a hotel room, I also take a second cable in my luggage. And speaking of essential Apple products, I can pretty much say the same thing about my laptop’s backup power supply. It makes me feel more secure, in the event that I might lose the first one, or that it might get lost during lengthy and complex luggage transfers. Traveling without it might not seem like a big deal for many, but, as you may have already realized it, I like to travel prepared. In the case of the backup power supply, it stems from a particularly long journey across Europe, during which my power supply got, well… misplaced, and I had to spend serious money on a second one. I’ve learned my lesson and now know never to leave home without it. 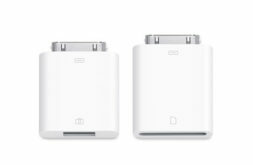 This one is almost a no-brainer: if you’re from North America or Australia and are planning to travel to just about any other place in the world (mostly to Europe and parts of Asia), you are going to be lost without electric travel adapters. I also add a handy extension cord, for cables that are simply too short – one such cable is the connection cable for my iPhone and iPad. By adding the extension cord with multiple sockets on the one end, then I only need a single adapter, plug in the extension cord, and have 3 or 4 sockets to use for my various devices. I use electric travel adapters purchased in a set, like the one pictured here, because they cover for absolutely all types of plugs I’ve come across in my journeys. 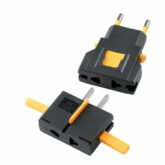 There is literally no type of plug known to and made by man that this set won’t make usable for a North American. 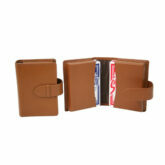 Of course, if you do happen to forget them, it’s likely that you can purchase a set on arrival in most urban locations. However, they are overpriced abroad and far more affordable if you simply remember to buy them back home and pack them into your suitcase. When you do your laundry in your hotel room, you most often need to hang the laundry to dry. If that laundry is a shirt or a top, and you hang it on a plastic hanger, you will most often end up with unseemly creases in the most unusual places. And even worse, if all that is available are metal hangers, you might even end up with rust stains. 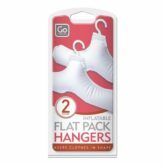 Inflatable hangers are an easy answer. Light weight, easy to pack, and re-pack. You inflate them when you need them, and remove the air to pack. These were a later refinement to our packing list after about four years of travel. You can be the most trusting person out there, but you will still need a travel lock when you are out on the road as much as I am. Think endless luggage transfers, countless hands that touch and handle your belongings, and missed connections. I want to make absolutely sure that my bags and their contents are safe, even if I always pack my most valuable possessions in my cabin luggage or carry-on. My travel lock of choice is a rather traditional one, with a numeric combination for a code. But make sure to get one that is TSA approved, that way you won’t have the authorities cutting it off and leaving you lock-less. 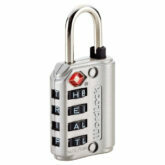 If you’re more verbally inclined, you can opt for one that carries a combination of letters – but the most important thing you need to look at is just how safe and sturdy the lock is. As for mine, I tried picking it myself, when I thought I’d forgotten my code. Needless to say, I didn’t manage to, but, luckily, I was able to retrieve the code and open it the orthodox way. Along those same lines, my computer lock is much more important than my travel lock. Though I always make sure to have all my information backed up in the cloud and on external hard drives before and during my trips, I still wouldn’t want my computer and all the priceless information on it to end up in the wrong hands. The Internet is already filled with such stories, some of them alarming, some humorous, but I still wouldn’t want to chance such a fate. The protection I carry for my computer is three-fold: there’s a physical lock on it, a password to my hard-drive, and also an app installed that will track down the device no matter where it ends up in the world. I also periodically archive and encrypt the highly sensitive information on my machine, just to make absolutely sure it’s as safe as can be. When packing shoes in your luggage, especially when you may have other hard items, such as electronics, or gifts or anything else, you would prefer that your shoes don’t get scuffed. And at the same time, you would prefer your clean clothes not be exposed to the the soles of your shoes. 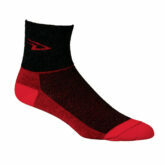 So to protect your clothes from your shoes, and your shoes from other objects, simply cover your shoes with socks. Since the socks you use are likely to get dirty from the shoes, we don’t use socks we plan to wear, but use socks we keep for this very purpose. If you ever fly Business or First class, save those little footies, as they are very stretchy, and seem to be just the thing for this purpose. 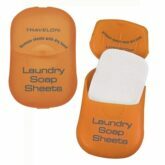 Perhaps one of the biggest inventions since bread came sliced, these laundry soap sheets make keeping your clothes clean a breeze when traveling. Not only are they biodegradable and entirely safe, but they’re also far easier to carry around when traveling than a bar of soap. They dissolve almost instantly when they come into contact with water and leave you with a handful of suds and bubbles. I like to pack them along for more rugged trips, when I know access to conventional toiletries is going to be difficult. If you’re still not convinced, here’s a fun little anecdote for you: during a tour of France, there was a small mishap at one of the first hotels where I was staying. Long story short, all my clothes ended up reeking of smoke and had to be washed. A single soap sheet managed to clean a pair of pants, a t-shirt and two pairs of socks. Q.e.d.? As much as I love printed books, there’s also a lot to be said about the convenience of carrying a Kindle for reading when you travel. They’re small, light, and can literally pack all the world’s literary heritage inside. I particularly like the look and feel of my own Kindle, which allows me to look up words, is easy on the eyes and can be customized, too. For those which prefer not to carry too much technology with them when traveling, there’s also the option of downloading the Kindle app, which works on any computer, smartphone or tablet. However, if you’re a dedicated reader like myself, investing in a Kindle will do you a world of good. This is especially true since it rids you of any issues with getting a new book while traveling, in case you finished the one you’d packed along. With Kindle it’s incredibly easy to simply download any title you want, just about anywhere. I also have a few magazine subscriptions set up on mine, which allow me to remain up-to-speed with the goings-on in my fields of interest. And the backlighting means never having to worry if there is a lamp on your side of the bed. There are plenty of options to making sure the bills are all taken care of when you travel. Personally, I like to manage mine as I go along, off my smartphone – especially since there’s a bunch of great apps, both from banks, as well as from utility providers. However, you can also set up your card for automatic monthly withdrawals, straight from your account into those of your utility providers. Since I’m sometimes away for a whole month, this helps me make sure I never fall behind with any payments and am then forced to return to a house without Internet, or who knows what else. 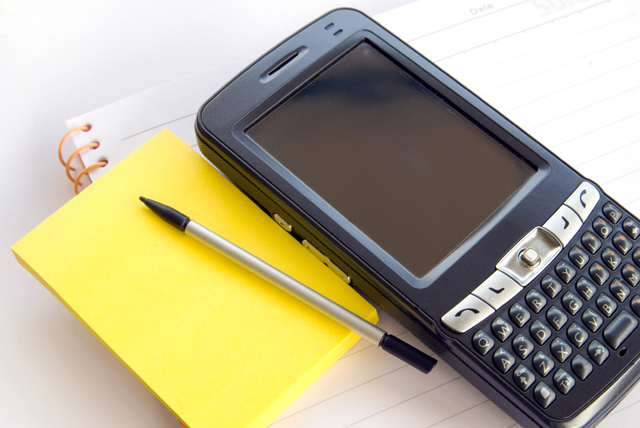 Setting up your phone for traveling abroad largely depends on your needs, traveling style and duration of your stay. For instance, I choose to always reset my data counts when traveling, in order to keep my data transfer limits in check (those costs do tend to run somewhat high). I also make sure I have all my favorite travel apps installed on all devices: smartphone, tablet, and laptop. As I mentioned earlier, I have a permanent overseas voice call subscription, but you may only want to activate yours for specific durations of time, depending on where you’re traveling to, how long you plan on staying there, and the purpose of your voyage. Last but not least, I deactivate apps that I know will eat up battery life while traveling, if they’re not specifically useful for me during the course of that voyage. I don’t always rent cars for driving across Europe during my travels there, but when I do, I always take along my my personal GPS and flash card for the continent I will be in. In fact, of late I’ve included it on my checklist of essential travel items for each voyage, since these maps now also come in handy when I use local public transport systems, walk, or hike. 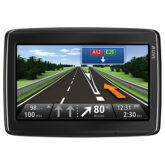 They do tend to be somewhat expensive, but they’ll save you a fortune on traditional, printed maps, and, on the plus side, you rarely ever have to worry about the maps being outdated with a GPS flash card: some of the higher-end options even provide real-time traffic updates. Alternatively, you can use a mobile app for the same purpose, with the same results. My only advice is to make sure you shop around and check out product reviews, because you definitely don’t want to end up in the middle of Europe with a map that has nothing to do with the reality of your surroundings. 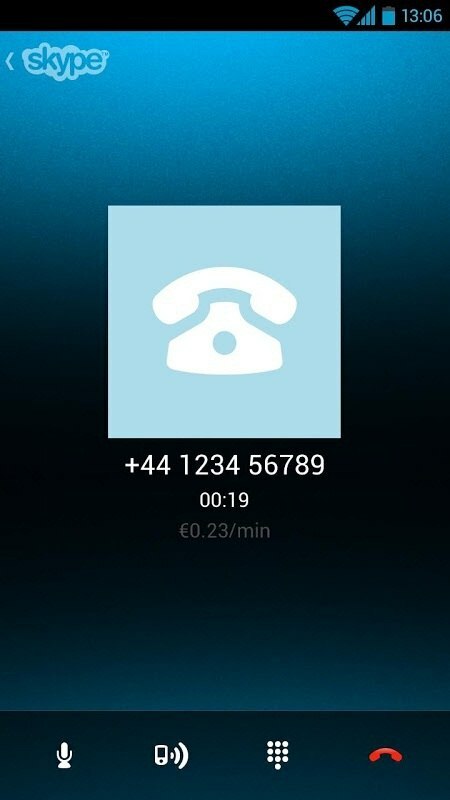 Believe me, the good people over at Skype aren’t paying me to tell you this, but there’s really no comparing their mobile application with any other VoIP service out there. It comes in extremely handy when trying to get in touch with someone calling you from back home. You can also use the PC application and call people for free, or make paid calls from your mobile device, at the lowest rates ever. They don’t cater to absolutely all the countries in the world, but their list of supported locations is ample and likely to satisfy even the most avid and active globetrotters. I know I’ve never had any complaints with the quality of their services, so I always make sure to update the app each time they come out with a new version. Get it on your smartphone, tablet and computer.